This was an even-more-naked admission of motive than Pennsylvania House Republican Leader Mike Turzai’s telling a GOP crowd, “Voter ID, which is going to allow Governor [Mitt] Romney to win the state of Pennsylvania? Done.” Turzai’s comment, amazingly, was deemed insufficient evidence to throw out Pennsylvania's Voter ID law. “I declined to infer that other members of the General Assembly shared the boastful views of Representative Turzai,” concluded Judge Robert Simpson, a Republican, “without proof that other members were present at the time the statements were made. Also, the statements were made away from the chamber floor.” Could Preisse’s more blatantly anti-black comment be used more successfully to challenge Husted’s decision on Sunday voting? Probably not, according to the voting-rights experts I canvassed. 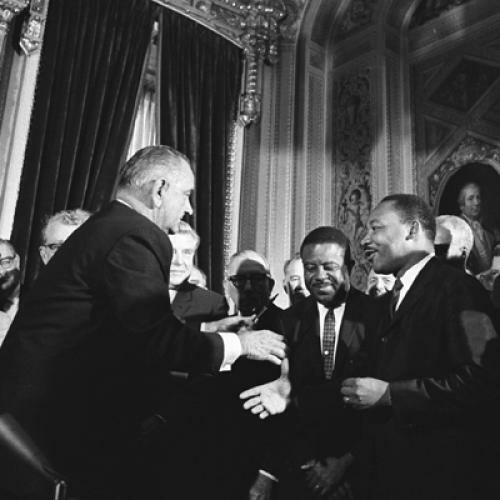 The relevant statute is Section 2 of the Voting Rights Act, which states: “No voting qualification or prerequisite to voting or standard, practice, or procedure shall be imposed or applied by any State or political subdivision in a manner which results in a denial or abridgement of the right of any citizen of the United States to vote on account of race or color.” Sounds like a slam dunk, right? Plus, you don’t even have to prove intent. But “almost all successful Section 2 cases are redistricting-related,” according to Nathaniel Persily of Columbia Law School. “So-called vote denial lawsuits are rare and the legal standard is unclear.” Preisse, even though he had a hand in the decision-making process, is just one person, and that’s “probably not enough,” according to Richard Hasen of University of California Irvine Law School. A couple of experts told me it would be worth a shot bringing a case under the 14th amendment. But it would be a long shot. All the experts I surveyed agreed that it would be a slam-dunk if Ohio were a “pre-clearance” state under Section 5 of the Voting Rights Act—that is, one of the nine states (nearly all in the South) with a demonstrated past tradition of discriminatory voter suppression. These states are subject to review by the Justice department, and if one of them challenges the Justice department’s adverse findings in court the burden of proof lies with the state to prove that its procedures aren’t discriminatory. Ohio would have a very hard time doing that. But Ohio isn’t a pre-clearance state, and it doesn’t have any counties or townships that require pre-clearance, either. So perhaps Rep. Akin is right, though not in the way he intended. Perhaps we do need to revisit the Voting Rights Act, and make every state of the union a pre-clearance state, in recognition of the fact that many northern states (Pennsylvania and Ohio among them) have lately gotten busy creating new traditions of discriminatory voter suppression. Unfortunately, there’s no political support for that outcome, even though it would achieve something the South has long sought—removal of its unique stigma under federal voting law. A likelier outcome, when the Supreme Court takes up the Voting Rights Act, as it’s expected to do soon, is that Section Five will be abolished altogether. The Court, remember, is majority Republican.